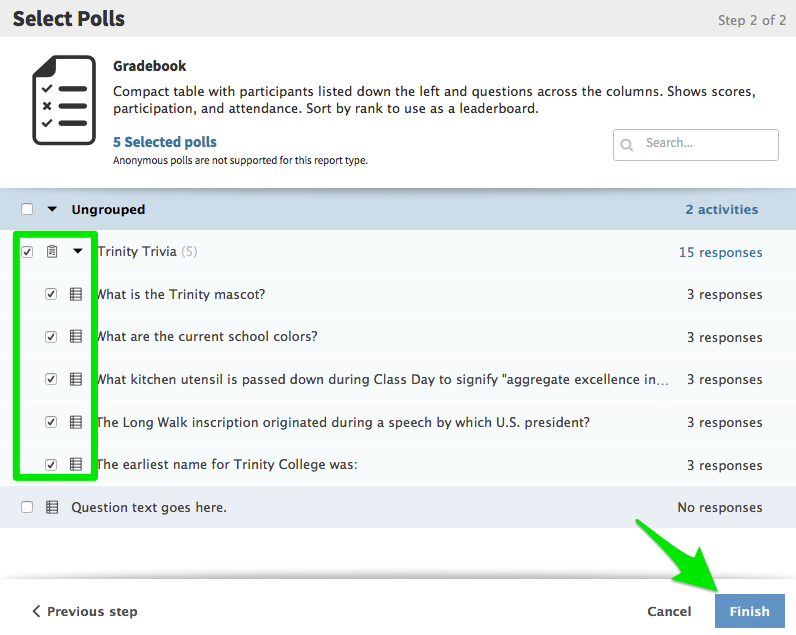 Student results from Poll Everywhere surveys and quizzes can now be integrated with the Moodle Gradebook. For information on how to use Poll Everywhere in your class, start with this post. Turn editing off, and navigate to the Poll Everywhere activity you just created. Click on the activity name, and that will open up a new frame within Moodle showing your Poll Everywhere account (you may need to login with your Poll Everywhere credentials). To create a class list within Poll Everywhere, click on the Import roster button. This will take a few seconds, but then you should see your course name under the Groups listing on the right when you click on Participants in Poll Everywhere. Make sure to select ‘Registered participants only’ when you configure the poll or activity, so that you will be able to pull out participant results by class. If your students do not have a Poll Everywhere account linked to their Trinity email, a new account will be created for them and they will receive a new email with account information. 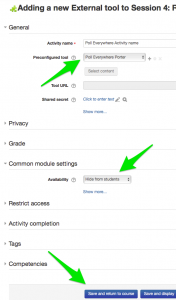 Existing student accounts will be linked to your course. 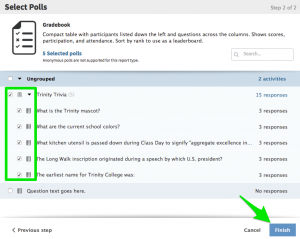 After you have completed your questions in Poll Everywhere, return to the activity in Moodle, and click on ‘Create Gradebook for exporting.’ This will open up the Polls window in your Poll Everywhere account. Select the questions that you want to export by clicking on the radio buttons on the left, and then click on Finish. (NOTE: This step does not appear to work correctly in Chrome on a Mac, so we recommend that you use either Firefox or Safari). The next screen will show a gradebook listing of the results. 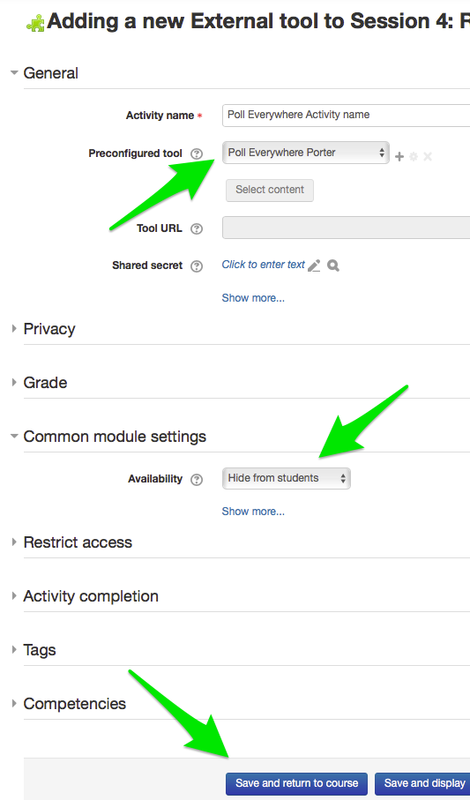 Click on the blue button ‘Export via’ at the bottom right to add the results to your Gradebook in Moodle (a grade item will be created automatically.) Once you click on the button, a notice will pop up that the export is running in the background. 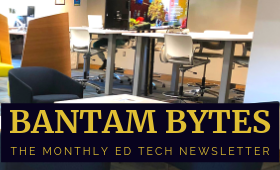 Any questions, please contact your instructional technologist.